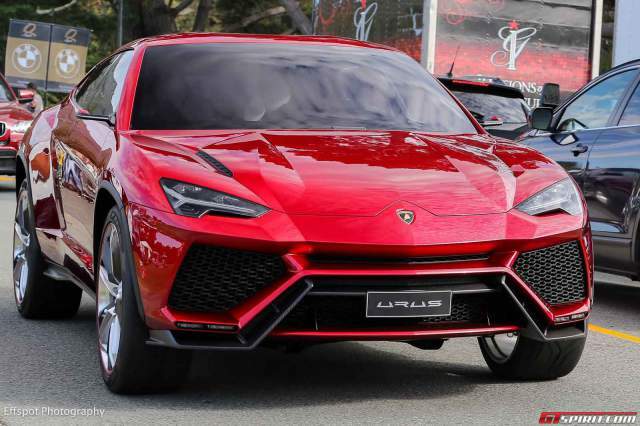 As recently reported, the Lamborghini Urus remains unconfirmed for production. Nevertheless, the Italian marque’s boss Stephen Winkelmann has said that if the car launches, it could become Lamborghini’s first model to feature forced induction by way or turbocharging or instead could implement a plug-in hybrid system. If either a turbocharged or plug-in hybrid powertrain were offered for the Lamborghini Urus, it is likely that they would be sourced from inside the Volkswagen Group. For example, a turbocharged engine from Audi could be available while the plug-in hybrid could bare similarities with the system powering the recently revealed Audi Q7 e-tron. If the Urus is indeed launched, the Italian marque believes that it could sell around 3000 units annually.